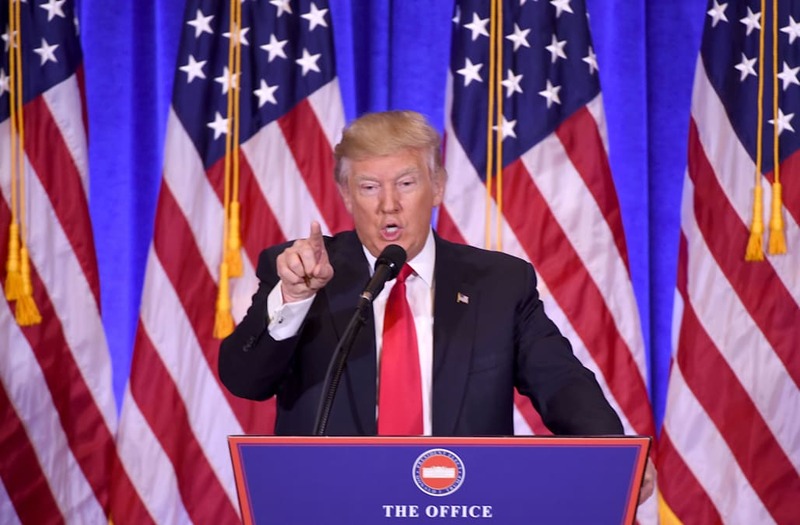 President-elect Donald Trump scolded multiple media outlets during his first press conference since July for publishing an unverified report that suggests the billionaire businessman has deep ties to Russia. During one heated exchange Wednesday, Trump refused to take a question from CNN's Jim Acosta and ultimately berated the reporter saying, "your organization is terrible." "Don't be rude. No, I'm not going to give you a question. You are fake news,"said Trump. Trump unequivocally denied the details within the bombshell report released by BuzzFeed on Tuseday, calling it a "total hoax." Yes, the #TrumpPressConference today shows exactly why America will be taken seriously. Trump's attitude has opened many eyes. I don't think I've heard of any head of state, from democracy to autocracy, speak to and speak about the media this way. The incoming president also thanked members of the press who withheld from publishing the information. "I want to thank a lot of the news organizations, some who have not treated me very well over the years. ... They came out so strongly against this fake news. I have a great respect of the news and freedom of the press." However, throughout the dramatic press conference at Trump Tower in New York City, multiple speakers including Vice President-elect Mike Pence took shots at members of the press and publications like BuzzFeed and CNN. CNN first reported on the Tuesday night that intelligence officials had briefed Trump and President Obama on the unverified dossier that alleges Russia is in possession of compromising information about President-elect Trump. BuzzFeed later published the entire unverified dossier, defending the controversial move by saying "Americans can make up their own minds," regarding the contents of the leak. CNN released a statement on Wednesday following Trump's heated attack on the cable news giant, distancing itself from BuzzFeed's choice to release the full unconfirmed report. "CNN's decision to publish carefully sourced reporting about the operations of our government is vastly different than Buzzfeed's decision to publish unsubstantiated memos. The Trump team knows this. They are using Buzzfeed's decision to deflect from CNN's reporting, which has been matched by the other major news organizations," CNN said in the statement. "We are fully confident in our reporting. It represents the core of what the First Amendment protects, informing the people of the inner workings of their government; in this case, briefing materials prepared for President Obama and President-elect Trump last week." Trump also took aim at BuzzFeed during Wednesday's presser, calling the site a "failing pile of garbage" and claiming that the web publication would "suffer the consequences." Many on Twitter quickly pointed out the precarious optics of an incoming president seemingly issuing a threat to a news publication. Twitter user @igorvolsky shared his disbelief saying that "a president saying news organization is "going to suffer the consequences" for printing something he doesn't like is F******* UNBELIEVABLE." BuzzFeed and CNN have come under fire from other publications including The Washington Post who stated on Wednesday that the move to release the dossier "crossed the line."